Read more about Anova Seafood in the News Items, our Publications and Press Releases. Millions of tons of plastic currently pollute our sea surfaces. 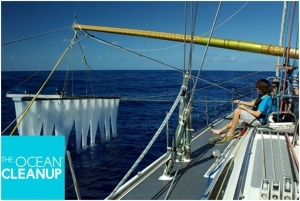 The Dutch 19-year old Boyan Slat came up with a concept to clean up the oceans from plastic debris by using the natural ocean currents.